For those of you who hadn’t heard yet, I spent a relaxing long weekend in the backwoods of Missouri along the Mississippi. Actually, for anybody who’s spent any length of time between the Rockies and Appalachians, I’m sure it wasn’t backwoods at all…I, however, am used to an entirely different mode of life. That’s not to say that I was was bored out of my mind (I wasn’t) or that I didn’t enjoy myself greatly (I did). It’s simply to say that I’ve never seen a river as large as the Mississippi or been to a town that sat on the banks of it so unassumingly as La Grange. 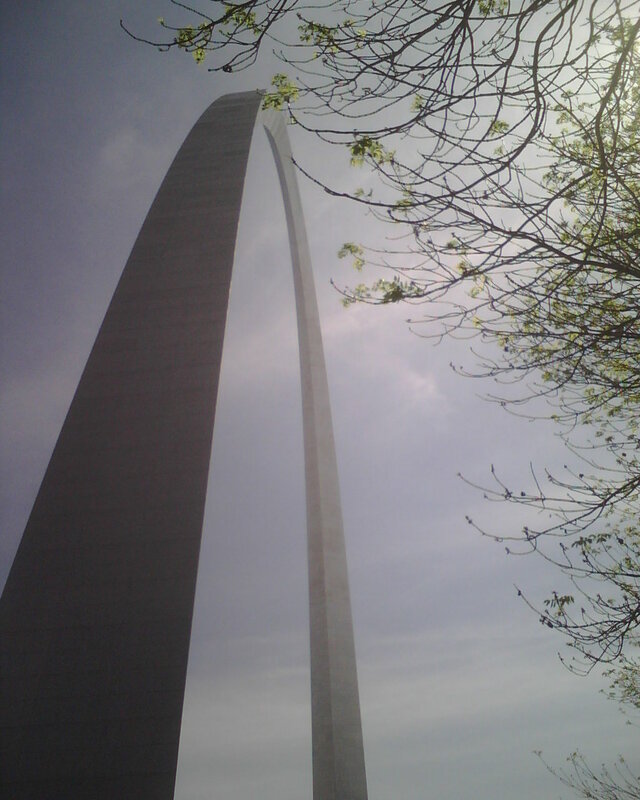 I’m told that in its heyday, La Grange rivaled St Louis in size and grandeur. Sadly, time hasn’t been especially kind to La Grange. Much like the towns that were stranded along the old Route 66 when I-40 was built, La Grange was bypassed by a highway built on its western edge. With the disappearance of traffic, the town has been slowly drying up. Well…drying up is an unfortunate term. Among the heaviest blows in recent years would be the floods that occurred in 1993. As you might recall, the Mississippi burst its banks and flooded the entire valley. This is an event that occurs every couple of years in La Grange, but this year was special. It ended up causing so much damage and devastation that many riverside businesses and homes were abandoned. I’m told that year by year, the old abandoned buildings are torn down and replaced with empty foundations. A somewhat amusing addition to the town of La Grange is Terrible’s Casino. According to Missouri state law, the only gambling allowed is on water-borne along the Mississippi (Missouri as well?). The folks of Terribles hatched a clever plan, however. Digging out a trench, they effectively added a spur to the Mississippi and built the casino on a floating foundation. Apparently this circumvented the letter of the law enough and Terribles was allowed to remain. Prior to our trip, Emily and I purchased the audio rendition of The Life and Times of the Thunderbolt Kid by Bill Bryson (highly recommended). It served as a memoir for a childhood spent growing up in Des Moines, Iowa. The stories had a sad, sweet, reminiscent (and hilarious) quality about them that perfectly mirrored the stately historicity of La Grange. We drove to and from La Grange, visited Hannibal, and trekked to Kirksville, all the while listening to the book. I kind of wonder what my experience of La Grange would have been if we had purchased a more upbeat volume to distract ourselves during all of the driving. As is was, though, I’m left with a lingering sense that La Grange is a town past its prime, sweetly recollecting days of past glory while fearing what the future would bring. I’ll have more to say about the people we saw and the sights we visited, but for now I’m tired…and work doesn’t care how little sleep I get the night before. G’nite.